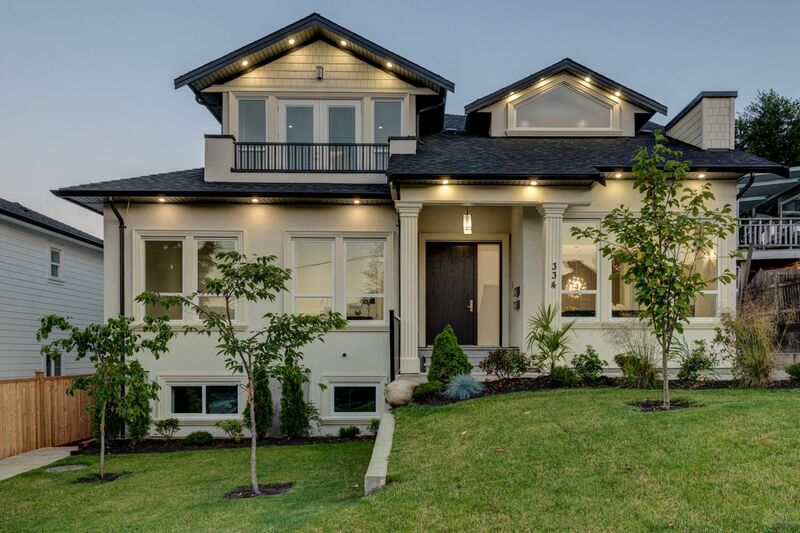 Contemporary new home on a wonderful family street. Over 3800 sq.ft. 4 bedrooms, each with its private bath. Radiant in floor heat, separate A/C. The soaring ceilings and architectural design of the dining/living room will wow your guests. Several raised feature panel walls give this home a contemporary feel. Spacious open main floor offers a dream kitchen, entertainment size island, spice kitchen and even a mud room. Family room opens through 9' floor to ceiling double doors onto deck and rear yard. Main floor den and 4th bedroom are perfect for extended family. Master and second bedroom also enjoy double doors/decks. View and an abundance of natural light bring the outside in on this special home. Walk to Skytrain and Hume Park. Easy access to #1 Hwy.